How many degrees of “Head Down” do you get? The reverse Trendelenburg position is the position gynaecological surgeons use to perform the vast majority of pelvic surgery. It allows the bowel to move out of the way and together with CO2 insufflation it creates space to operate in the pelvis. Prolonged and steep “head down” positioning may have adverse effects and those include cardiovascular effects, effects on the brain and more importantly on the retina. Typically, the anaesthetist will give us “head down” but some of our anaesthetic colleagues are hesitant to accept those risks to patients. 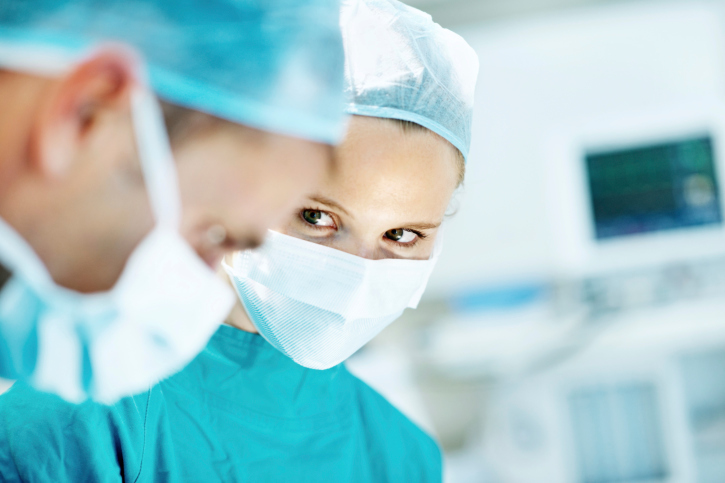 Commonly, we are granted more “head down” by one anaesthetist than by another. Would it not be so much easier if we could quantify the degree of head down we get? Have you ever tried measuring the degree of reverse Trendelenburg? Having been an observer in an operating theatre in New York a few weeks ago, I was stunned by how much “head down” my colleagues there get. I could not resist to download a tilt meter (clinometer) right away and measured it. It was a stunning 32 degrees. By contrast, I measured it the other day in my operating theatre. Even if I would get the maximum reverse Trendelenburg by my anaesthetist, I would not get more than 24 degrees. There are some tricks to prepare the operating table so that the head down positioning is maximised. One of those “tricks” involves to slide the operating theatre bed into such a position that the fulcrum of the bed comes to lie underneath the patient’s pelvis. One of the ways to get more head down from your anaesthetist is to measure how much you are actually getting. If you don’t know how many degrees head down you are actually getting, it is much harder to ask for more. We cannot improve what we don’t measure.